Near Manufacturing is a high precision machine shop specializing in prototyping and production of CNC machined components. Richard Near, the founder and owner was raised on a farm located in western Canada. Rifles were a normal part of farm life. 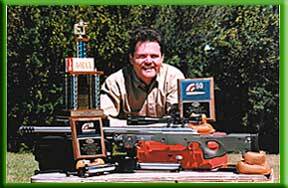 In 1996 and 1997 Richard finished 2nd in the 2 rifle 50 BMG World Match held in Raton, New Mexico USA. In January 1996 Richard won the 1000 yard 50 cal one shot match at the Thunderbird Open match in Phoenix, Arizona. Richard has over 16 years of prototyping and machining experience from various industries and holds an Interprovincial Journeymans Machinist qualification. 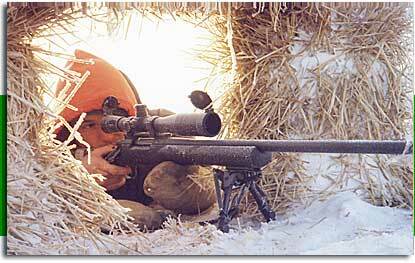 Shooting coyotes long range at 30 degrees below zero puts harsh demands on scope mounts. 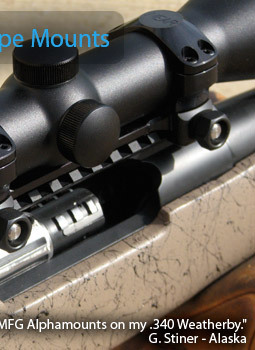 Richard holds high expectations for rifle accuracy and unable to purchase a scope base that had the features he wanted, started producing scope bases the way he believed they should be made. 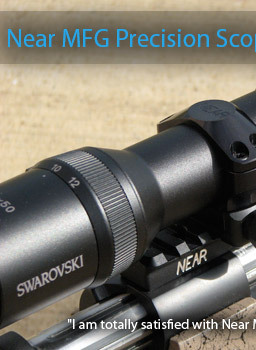 Our scope bases have been proven by sportsmen and professional marksmen world wide. All of our products combine innovative design with the very best of materials and craftsmanship. We would like to thank our loyal customers for their support of our business as we look forward to new challenges and opportunities.